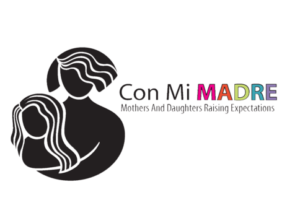 The ND Club of Austin is excited to be volunteering with Con Mi Madre for its annual Leadership Summit on July 19 to July 22 at UT Austin. This year’s summit is held in concert with Project MALES, Mentoring to Achieve Latino Educational Success. The Leadership Summit titled “Resiliency Through Leadership” consists of two half-days of Leadership Workshops and a two full-day conference including an overnight stay at the University of Texas at Austin. Our hope for this Leadership Summit is to educate our students about the essence of not giving in and overcoming personal and academic barriers. They are currently seeking volunteers and/or chaperones for this event. We will be having two shifts for volunteers on Wednesday, July 19th, and Thursday, July 20th, from 8 am to 11am and from 11 am to 2 pm. Volunteer duties include assisting with setup/breakdown of supplies, assistance with classroom set up, and assisting the Program Coordinator with students. Volunteers will be fed both days. The Chaperones they will be staying overnight from Friday, July 21st, at 7 am until Saturday, July 22nd, at 3 pm. Chaperone duties include assisting with setup/breakdown of supplies, assistance with classroom set up, and assisting the Program Coordinator with students and spending the night. Chaperones will be fed both days. If you are interested in either Volunteering or Chaperoning please contact amy@ndclubofaustin.com and let me know the date and shift you are interested in, along with a good email address and phone number. Thank you!